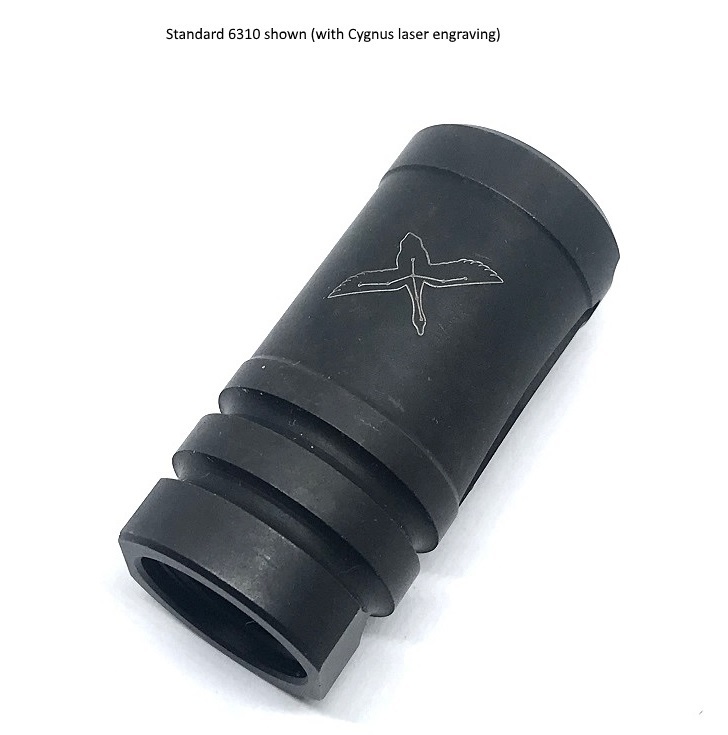 We are a big fan of the A2 flash suppressor / compensator (compensator is the Army TM 9-1005-319-23&P, Air Force TO 11W3-5-5-42, Navy SW370-BU-MMI-010 designation). It is inexpensive, and does a decent job of what's asked of it. We went through a phase of expensive and fancy brakes and comps, all of them have worked well but we know they're not practical for defense/duty ARs. The flash, noise and concussion they produce are the result and byproduct of reducing the felt recoil (brakes) and keeping the muzzle down (comps). 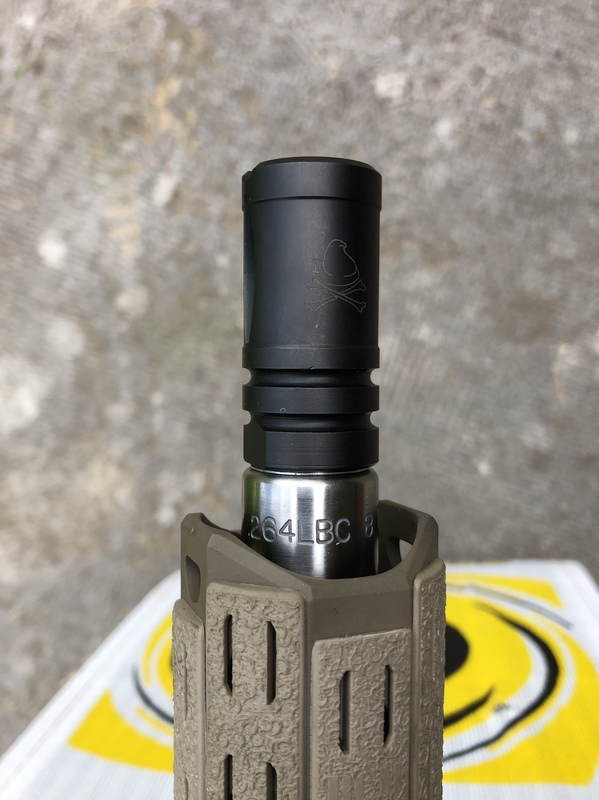 Precision machined from solid 4130 bar stock and black nitrided, it is probably the finest A2 style comp/flash suppressor ever produced. 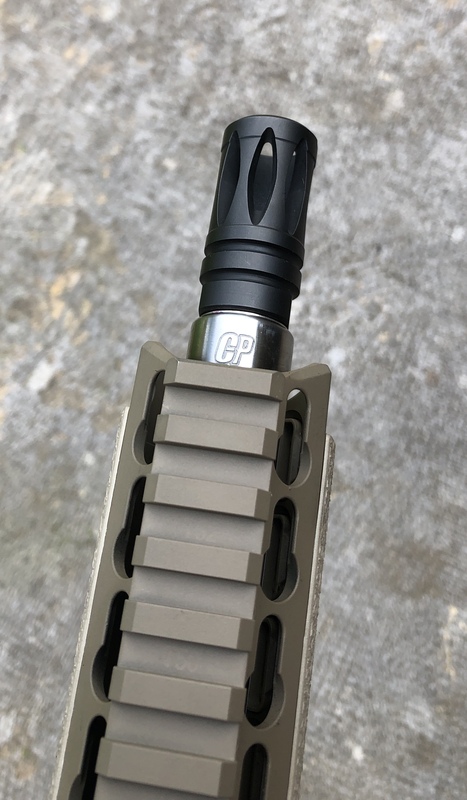 Its 3 and 9 o'clock ports are 25% smaller (shorter and narrower) than the other three upward facing ports so more gas is vented through the upward facing ports, it is a superior compensator to the A2, its flash suppression is superior to that of a longer factory A2 style flash suppressor. Note that since 6310 does have flash suppression capability equal to that of an A2, it is to be treated as a flash suppressor for states that feel threatened by them, such as CA, MA and NY. 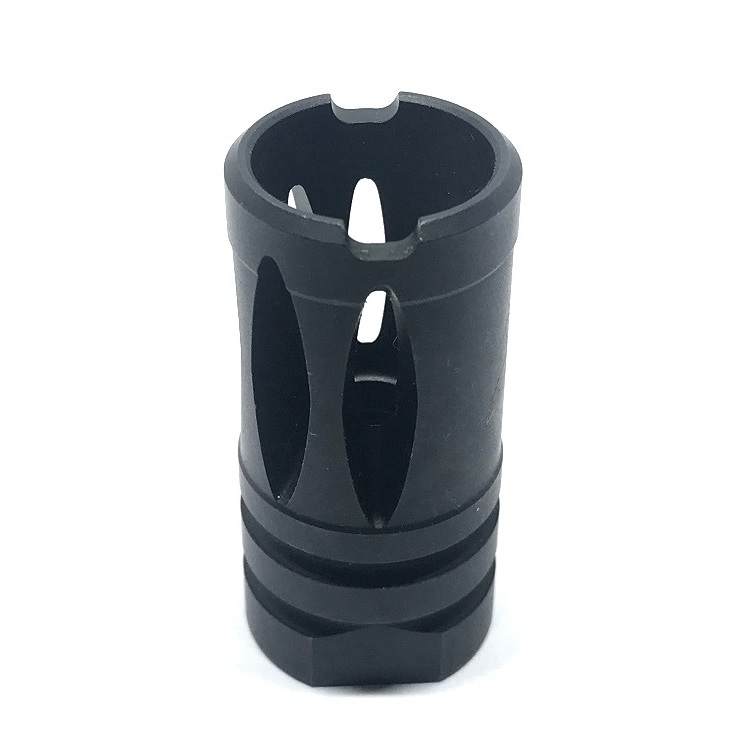 6310 is a light and short blended performance muzzle device. 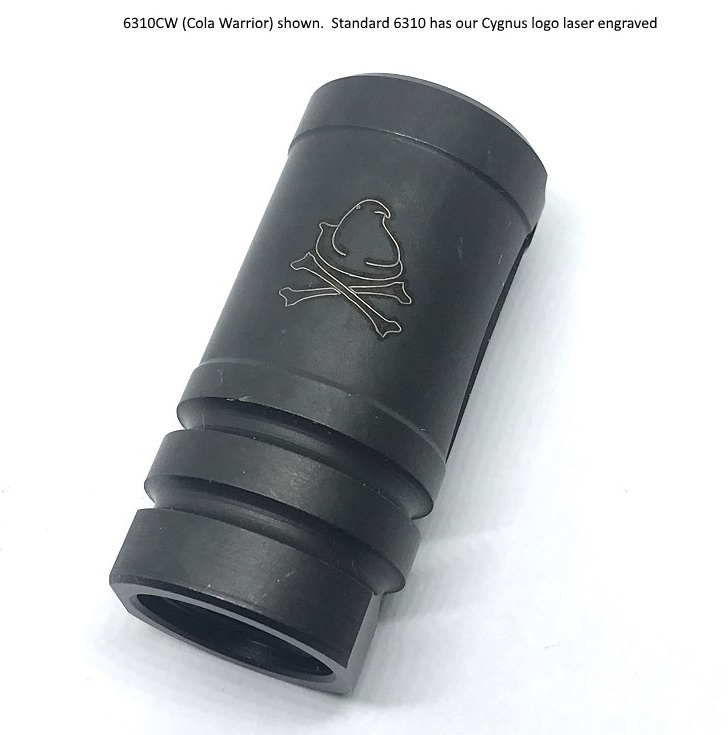 It provides 20 to 25% better muzzle rise compensation than the A2, and what is impressive is that it does so without sacrificing its flash suppression capabilities, or creating more noise and concussion. 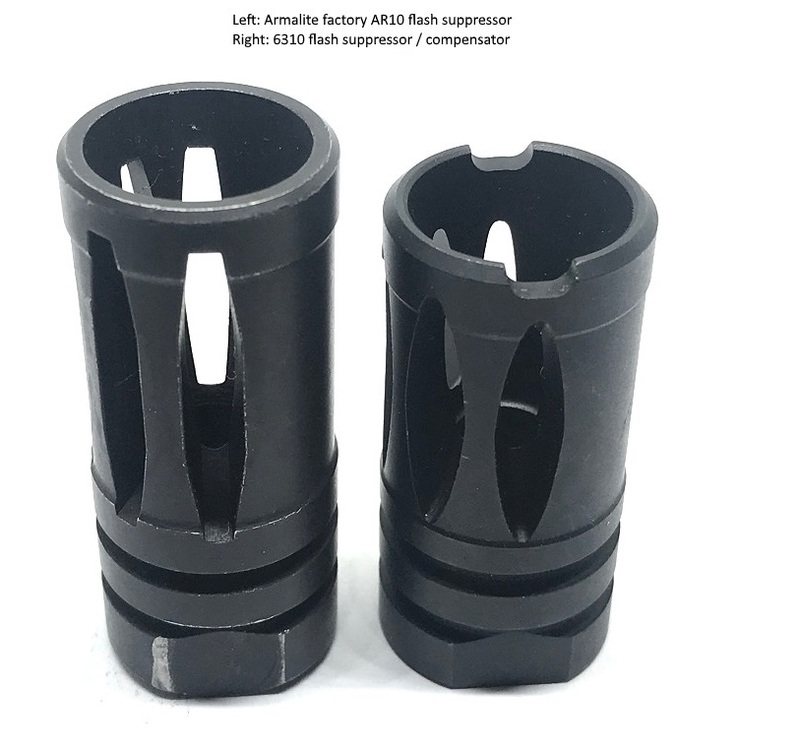 Unlike almost all other 308 AR flash suppressors, 6310 is only slightly longer than M16 TDP A2 length at 1.8". 6310's flash suppression performance isn't just on par, but surpasses the longer A2 style .308 factory flash suppressor at 2.04", confirming our suspicion that a well engineered short flash suppressor can perform as well as a longer one. The number 63 in its name pays homage to the Stoner 63 light machine gun, the shape of its ports draws heavily from the Stoner 63 LMG's flash suppressor design. 6310 is a part of Forward Controls' x10 muzzle device series. Your shooting buddies will enjoy shooting next to you much more once you replace the brake or comp with something that won't remind them of their days in artillery, that it also agitates the snowflakes is priceless. A crush washer is included. 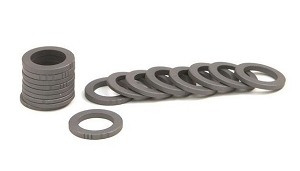 Optional Precision Armament 5/8x24 Accu-Washer is available (please see drop down menu). It mitigates flash a little better than the standard A2 style and doesn't cost alot.